Welcome to the Banana Moon website, www. bananamoon.com (“Website”). The products and services available on the Website, and any gifts thereof we may provide to you, are for personal, noncommercial use. You may not sell or resell any of the products or services, or gifts that you purchase or otherwise receive from us. We reserve the right, with or without notice, to cancel or reduce the quantity of any orders that we believe, in our sole discretion, may result in the violation of our Terms and Conditions. Banana Moon reserves the right to cancel any online order for any reason. All content available on the Website, including but not limited to text, graphics, logos, button icons, images, audio clips, data compilations and software, and the compilation and arrangement thereof (collectively, the “Content”) is the property of Banana Moon, our affiliates, partners or licensors, and is protected by United States and international copyright laws. 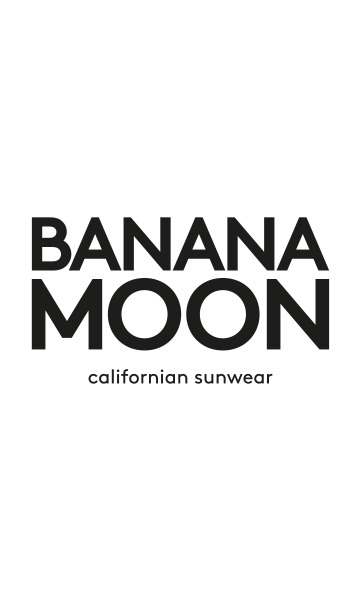 The trademarks, logos, and service marks displayed on the Website (collectively, the “Trademarks”) are the registered and unregistered marks of Banana Moon, our affiliates, partners or licensors, in the United States and other countries, and are protected by United States and international trademark laws. Except as required under applicable law, neither the Content or Trademarks nor any portion of the Website may be used, reproduced, duplicated, copied, sold, resold, accessed, modified, or otherwise exploited, in whole or in part, for any purpose without our prior written consent. Requests for permission should be directed to our Fairfax office at the address specified below. or its products or services or personnel. No unsolicited email (spam) may be directed to or through this Website. Users may not use this Website in order to transmit, distribute, store or destroy material (a) in violation of any applicable law or regulation, (b) in a manner that will infringe the copyright, patent, trademark, trade secret or other intellectual property rights of others or violate the privacy or publicity or other personal rights of others, or (c) that is libelous, obscene, threatening, abusive or hateful. You may choose to register at our Website. If you do, you will have an email address/username and password for your account. You are responsible for maintaining the confidentiality of your account, username and password and for restricting access to your computer. You agree to accept responsibility for all activities that occur under your account, username and/or password. You agree to provide only accurate, truthful information. We reserve the right to refuse service and/or terminate accounts without prior notice if you violate these Terms and Conditions or if we decide, in our sole discretion, that it would be in Banana Moon’ best interests to do so. Banana Moon has no responsibility and assumes no liability for the unaffiliated sites to which it is linked to or from, including but not limited to the content or web pages or other, products, services or materials on the site linked to the Website or posted to this Website by anyone other than Banana Moon. We may permit some links for convenience, but it is not an endorsement by Banana Moon, our affiliates or our partners of the referenced content, product, service or supplier. Please note that the rules and privacy policies of linked sites may differ from those of Banana Moon and should be reviewed by you when you use the link to access the other site. We may, in our sole discretion, request that you remove any link to the Website, and upon receipt of such request, you shall immediately remove such link. The Website is presented “as is”. We make no representations or warranties of any kind whatsoever, express or implied, in connection with these Terms and Conditions or the Website, including but not limited to warranties of merchantability, non-infringement or fitness for a particular purpose, except to the extent such representations and warranties are not legally excludable. We are not responsible for timeliness, accuracy, unavailability or interruptions in availability, viruses or other defects in the Website or its contents. In no event will we be liable for any direct, indirect, special, incidental, or consequential damages of any kind (including lost profits) related to the site regardless of the form of action whether in contract, tort or otherwise, evne if we have been advised of the possibility of such damages. In no event shall our maximum aggregate liability exceed two hundred dollars ($200.00). We reserve the right to refuse to process an order due to suspected fraud or unauthorized or illegal activity. If such is the case, we may reject your order or our customer service may call you at the phone number you provided to confirm your order. We also reserve the right to cancel any accounts or refuse to ship to certain addresses due to suspected fraud or unauthorized or illegal activity. We reserve the right to cancel any order using any promotion or promotional code, at our sole discretion. If any order cancellation occurs you will be credited in full for the cancelled order(s). We take these measures to protect our customers as well as ourselves from fraud or other unauthorized or illegal activity. In the event of any perceived abuse(s) of Banana Moon satisfaction guarantee, to be determined at the sole discretion of Banana Moon, a return or multiple returns may not be honored. By using this Website, you acknowledge and agree that these Terms and Conditions constitute the complete and exclusive agreement between us concerning your use of the Website, and supersede and govern all prior proposals, agreements, or other communications. We may change these Terms and Conditions from time to time. If we make changes, we will notify you by revising the date at the top of this document. We encourage you to review the Terms and Conditions whenever you interact with the Website to stay informed. Any changes are effective immediately upon posting to the Website. Your continued use of the Website constitutes your agreement to all such terms and conditions. These Terms constitute the entire agreement between you and Banana Moon regarding the use of the web site. With respect to any dispute regarding the Website, all rights and obligations and all actions contemplated by these Terms and Conditions shall be governed by the laws of Virginia, as if the Terms and Conditions were a contract wholly entered into and wholly performed within Virginia.